Deux fois dans une même semaine, c,est plutôt rare pour moi! il y a quelques temps je me suis mise à lire les messages de Krista Smith de Saturated Canary, parfois elle me rire, d'autre fois elle me fait réfléchir! mais j,aime bien Krista, c'est une artiste de talent. Elle a offert, récemment, des images d'enfants pour une campagne de levée de fonds pour un hôpital. Je trouvais adorable ces frimousses espiègles ! Puis, en faisant ma tournée de blogues, j'ai lu le récit d'une petite fille atteinte de leucémie pour qui Donalda demadait une contribution pour mettre du soleil dans sa journée. J,ai tout de suite associé l'image avec cette demande. voici ma contribution. My papers are from Basic Grey, Konnichiwa collection, the image was colored with copics, and printed on x-press blending card; the swirl is from a magnolia die-cut. Mes papiers sont de Basic Grey, Konnichiwa; l'image est coloriée avec des copics, sur papiers x-press blending card; la découpe est de Magnolia. The inside image is a "resizing" of the balloons that were offered with the original image. J,ai regroupé les ballons offerts avec l'image originale, pour écrire mes souhaits à l'intérieur. In a totally different state of mind, this is the last picture I took from my beloved old car: a 1997 Lumina...It was towed away because the motor just quit on me. I was sooo sad, she really made me LOVE THE RIDE all those years. Dans un tout autre ordre d'idées... voici la derniere photo de ma chère vieille princesse que je l'appelais: une chevrolet Lumina 1997. Son moteur m'a laissée... J,étais vraiment triste, car elle me faisait aimer la route: LOVE THE RIDE ! thank you so much for your visit, and your kind words! Merci de votre visite, de vos gentils commentaires, ils mettent du soleil dans ma journée! Absolutely ravishing....inside and out!!!! I don't recall seeing this image...sooooo cute!!!! You did a magnificent job coloring and showcasing this lovely image! Désolé pour la vieille princesse. aaahhhh encore une carte que j'adore ! évidemment y a du rouge lol ! c'est vraiment original comme procédé il faut que j'essaye! Oh Danielle, your card is really stunning! 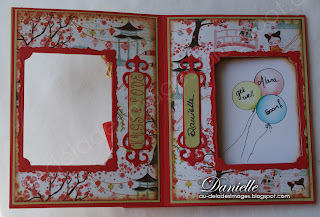 I love your colouring, layout and embellishing! Another fabulous card! Your charm is perfect and so are the balloons in the cluster. WOW your coloring is wonderful and so is this card inside and out. Oh the picture of your car going bye bye is so sad. I know how much love loved your car! You have my deepest sympathy. 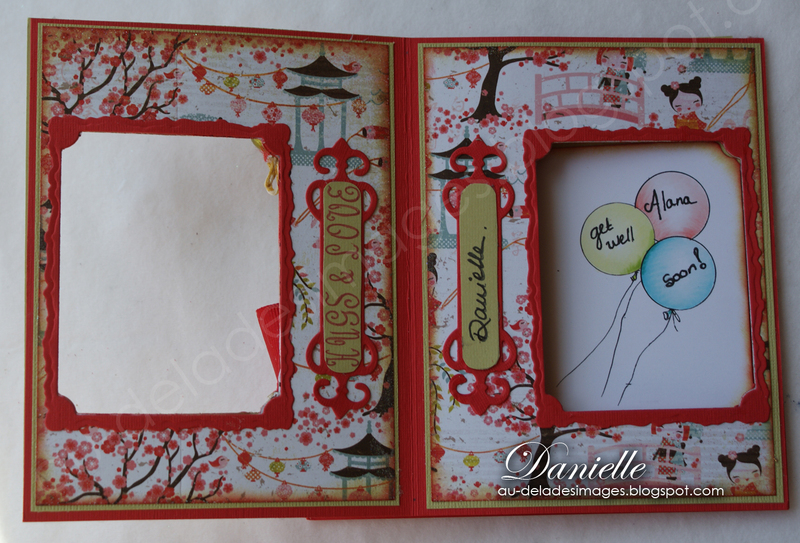 Very pretty card Danielle, love the balloons your card is surely going to bring her a smile. Comme elle est jolie...les petits ballons donnent un air festif et l'intérieur nous amène à une jolie découverte...elle sera certainement très très appréciée!! Pauvre princesse.....sera-t-elle remplacée?? Quand même, on s'attache avec le temps!! Encore une fois une superbe carte, j'aime beaucoup cette image et ta petite breloque est trop cute! bravo! OoOoH my GOSH Danielle!!! This is absolutely GORGEOUS!! So many details, and for such a wonderful cause! I know that little girl will be tickled silly when she recieves this!!! How wonderful of you! Love love LOVE it! Beautifully done sweet Danielle! Such a wonderful cause. I don't think anything breaks my heart more than children being treated for cancer. It is so hard on adults, how their little bodies take the trauma I will never know. Your card really is so very special. You will never believe this - I used to have a Lumina too!!!!! Beautiful coloring of the images and absolutely gorgeous inside and out Daneille. Bravo job!! Oh j'adore les petits ballons, ta carte est vraiment superbe Danielle comme toujours!! 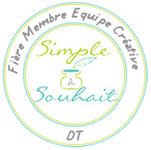 Très colorée et espiègle, cette carte est sublime, j'aime beaucoup ta décoration, ta fifille et la boucle:un must! Danielle, another fabulous card. Beautiful inside as well as outside. Wonderful image of Krista for a terrific cause. Your colouring is awesome! I love the matching embellishments--the balloons and little girl are perfect. PS. Sorry about your car...sob sob. Such a sweet card, Danielle. I love how you inked up this adorable image and how you arranged the flower bouquet. Also the inside looks so great. Wonderful artwork you did! And I know exactly how you feel about your car. Had to go through the same last year when I had to say goodbye to my beloved Saab I had fun with several years. Still miss her! Such a gorgeous card Danielle! I love your colouring and the image is so sweet and perfect for a little girl, lovely that it's going to someone who I'm sure will be over the moon to receive it. 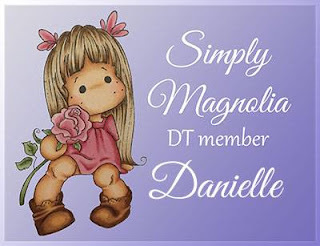 Hi Danielle, your card is so adorable! It made me giggle to see the cute image that you used! The little girl that you are sending it to is going to love it! waahhhhh.. tres tres jolie dear Danielle. i love this image.. it made me smile! i love how you placed the embellishments to the side.. so you can see all the details of the image. Oh my, I can't believe how perfectly you got to match the embelishements with the stamp! This is a great card, I love everything in it and you did a great job coloring that cute image. My hubby had a Lumina for years...got him all through college and several years beyond. I think we handed it down to his sister and she drove it for awhile too! Your card belies the tragedy of your losing your ride...it is gorgeous! So cheery and bright! I love it...fab design!